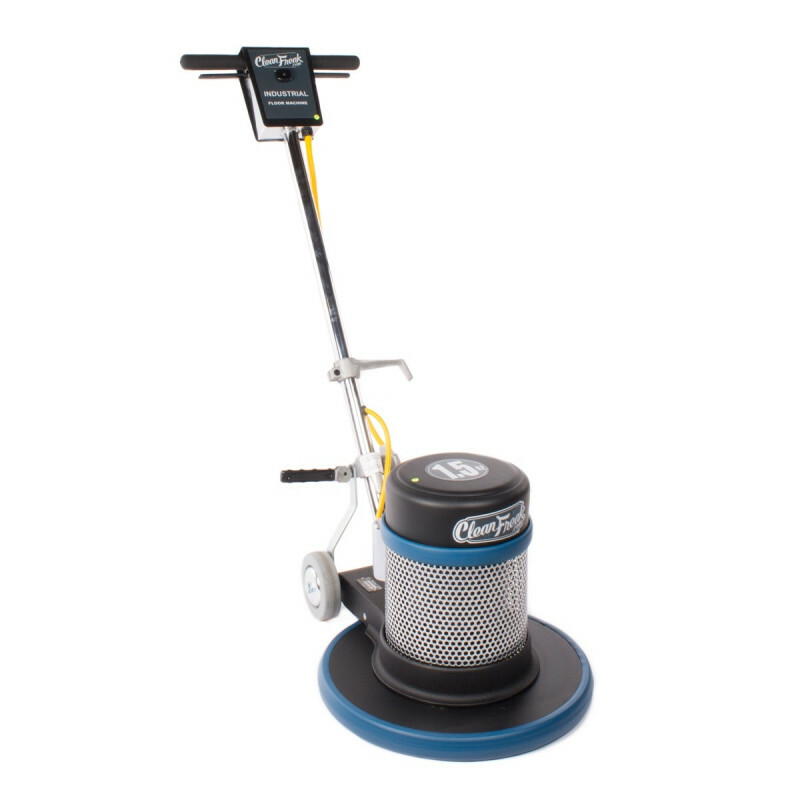 This 17 inch carpet/hard floor scrubber buffer is a great addition to any cleaning line. With it's 1.5 HP motor, triple planetary steel transmission gears, and a dual capacitor start, this machine is perfect for scrubbing carpets. The dual capacitor start will help the machine start up in heavy friction jobs. Carpeting provides more friction on start up, requiring more power. 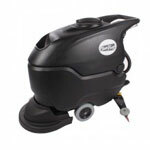 It can also scrub, buff, and strip hard floors, as well as scrub carpets. Use with our carpet scrubbing solutions, bonnets, and brushes listed below for your exact situation. 5" non marking wheels, ½ inch axle with sealed double ball bearings. Reinforced epoxy powder coated steel shroud. Cast iron chassis, metal housing.